Another gorgeous card Narelle. I love the way you use flowers and the distressing. Thanks for sharing at the Dynamic Duos. I love the romantic look to this beautiful card. And the colors in the Dynamic Duos challenge are beautiful! I’ll comment here but this is really for all of the cards you have been making lately. WOW…just wow! Elegant, beautiful, perfect! Gorgeous card Narelle,you make it look easy ,love your detail!!! I am always in awe of your lovely layers!! 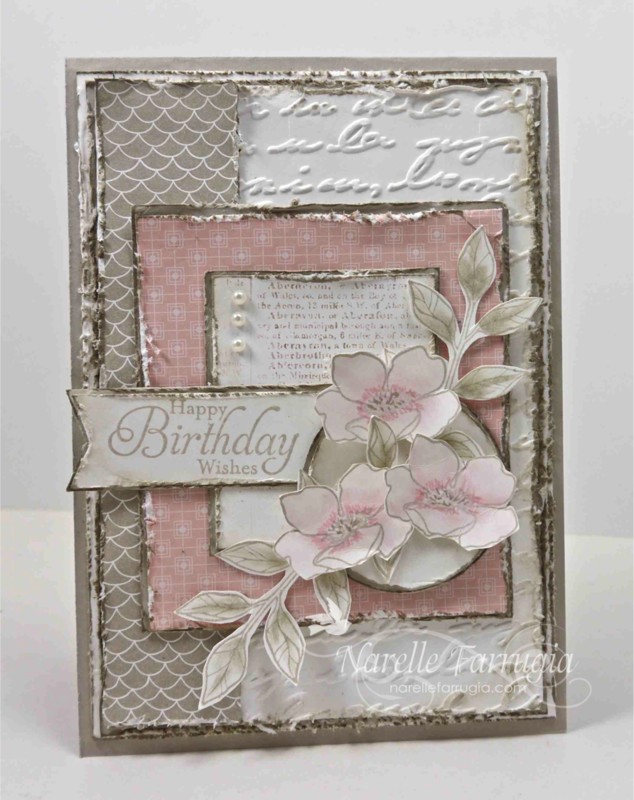 This card is stunning, Narelle! Thanks for playing along at the DD! Love your distressing, flowers and use of the colors (I knew this combo would be one of your favs):-) Thanks for playing along with us at the Dynamic Duos! This is gorgeous.. I love all the details and the way you used the colors. Thanks for joining us at Dynamic Duos.